Do You Really Know Your Newborn? Who are these adorable little bundles of cuteness whom we wrap up in towels after their baths, and with whom we delightfully roll around in the carpet after dinner, and who ask the most endearing of questions while we’re tucking them in their beds after a long day? These are our children. But who really are they? What fundamentally are they made of? What’s their nature? A few months ago, our local newspaper reported a tragic story about a family who had raised a raccoon as a house pet. They treated it as a beagle, as a sweet, well tempered canine. But one afternoon, the mother went out into the yard to work, leaving her infant daughter in her crib, while the raccoon wandered the house. The result done to the little girl’s face was devastating! 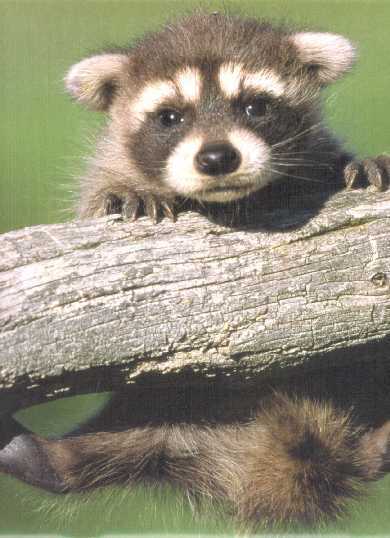 This tragedy occurred because the parents foolishly failed to understand the identity and nature of the raccoon. It was not a domesticated house pet. It was a wild animal. Likewise, if parents are to properly raise their children under God, they’ve got to understand the nature and identity of their little ones. A misunderstanding here will bring tragic results. So, who fundamentally, are our children? The secular psychologists and educators are very optimistic here. Their propaganda paints for us a very nice portrait of our offspring. Some tell us that they’re innocent darlings, that they’re born morally neutral, like a blank tablet just waiting to be written upon by their environment and experiences. This is the old Behaviorism of B. F. Skinner who taught that character outcome is determined exclusively by external influences. This view depicts our newborn children as those floating cottonwood puff ball seeds we see drifting about in the spring air. They’re suspended and weightless, pushed about by whatever puff of wind might pass by. And so our morally neutral children are vulnerably pushed about by the influences of their parents and their environment. It’s the blowing of these external influences, for evil or for good, that exclusively determine the direction of a child’s life. More prevalent today are those who tell us that our children are born basically good. These authors, therapists and educators assure us that the fundamental nature of our race is noble and virtuous. If we would just leave our children to themselves, without authoritatively intruding into their developing personalities, they’d grow up to be happy, loving, and fulfilled people. The Human Potential Psychology of Carl Rogers popularized this optimistic evaluation. This view depicts our newborns as helium filled balloons. Leave them to themselves, and they’ll ascend to noble heights of character. Firm parental interference and intervention will actually hinder the self actualizing ascent of our children! The Scriptures give us an altogether different picture. Sure, at creation Adam was good, even very good (Genesis 1:31). But then came the serpent, the rebellion, the fall, the curse, and the expulsion from the garden. Good Adam and Eve became evil. Since then, with the single exception of the Bethlehem Babe, only evil children have been conceived and born. Psalm 51:5 Behold, I was brought forth in iniquity, And in sin my mother conceived me. Romans 5:19 For as through the one man’s disobedience the many were made sinners, even so through the obedience of the One the many will be made righteous. Yes, this is the Lord’s sobering diagnosis of even the most seemingly angelic of our newborns. They’re rebels against God like their father Adam. Their direction is a rushing toward evil. Now, this doesn’t mean that they’re all as bad as they could be. Certainly, we can see admirable qualities, such as that rare toddler who delights in sharing his toys. But in their hearts, they’re fundamentally inclined against God. Psalm 58:3 The wicked are estranged from the womb; These who speak lies go astray from birth. So our children are not at all like floating cottonwood puffball seeds — morally neutral. Nor are they like rising helium balloons — basically good. To the contrary, the bible depicts them like descending bowling balls, plummeting morally downward with a strong inclination and bent toward evil. And if their course is not arrested by aggressive intervention, they’ll split hell wide open. Who, fundamentally, are our children? They’re born rebels. Bless God, that we have a great Savior to offer to them, and a willing Jesus to receive them! 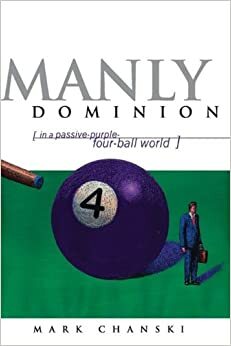 Excerpt from Manly Dominion, In a Passive-Purple-Four-Ball-World by Mark Chanski, Calvary Press, p 209.